Meet Ian Purkayastha, who, at just 25 years old, supplies rare and unusual ingredients to NYC's Michelin-starred restaurants. Ian Purkayastha first tasted truffles when he was just 15 years old. He spotted them on the menu when he was out to dinner with a friend whose parents had agreed to pick up the tab, and it was love at first bite. 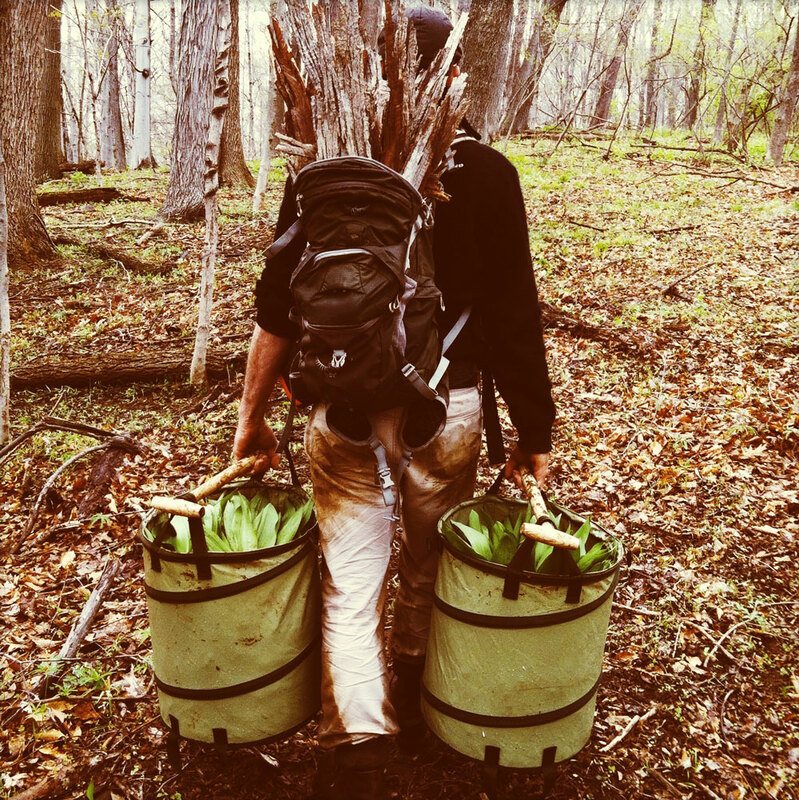 Already adept at foraging chanterelles and morels in the woods near his home, he had never eaten a truffle before. In the months that followed, he couldn't stop thinking about what he calls the "king of mushrooms." “I became totally obsessed with the idea of tasting truffles again and I started researching impulsively online,” he says. With his birthday and Christmas savings that year, he bought a kilo of black summer truffles shipped directly from France. But he didn’t have a sense of just how many mushrooms he had ordered, so when they arrived, he quickly realized he was in over his head. He knew he had to sell them quickly before they went bad. A Hungarian soft ball sized Burgundy Truffle. Incredibly aromatic with hints of brown butter , earth and hazelnuts. France no longer produces the best black truffles. “I told my dad I wanted to stop at Target for a kitchen scale and Office Depot for an invoice book,” Purkayastha says. By the following day, he had sold nearly all the truffles to nearby restaurants. And that is how his multi-million dollar specialty food importing business began. Within months, Purkayastha was working part-time for importers; by 18 years old, he had moved to Weehawken, New Jersey to better serve his clients; and when he was 19, he launched Regalis Foods. None other than David Chang wrote the introduction to his book, Truffle Boy: My Unexpected Journey Through the Exotic Food Underground, which came out last year. "He's like ‘Luxury Foods Google’ but with lungs and a tousle of black hair,” Chang wrote. It's no surprise that he landed Forbes's 30 Under 30 List for Food & Drinks when he was just 24. 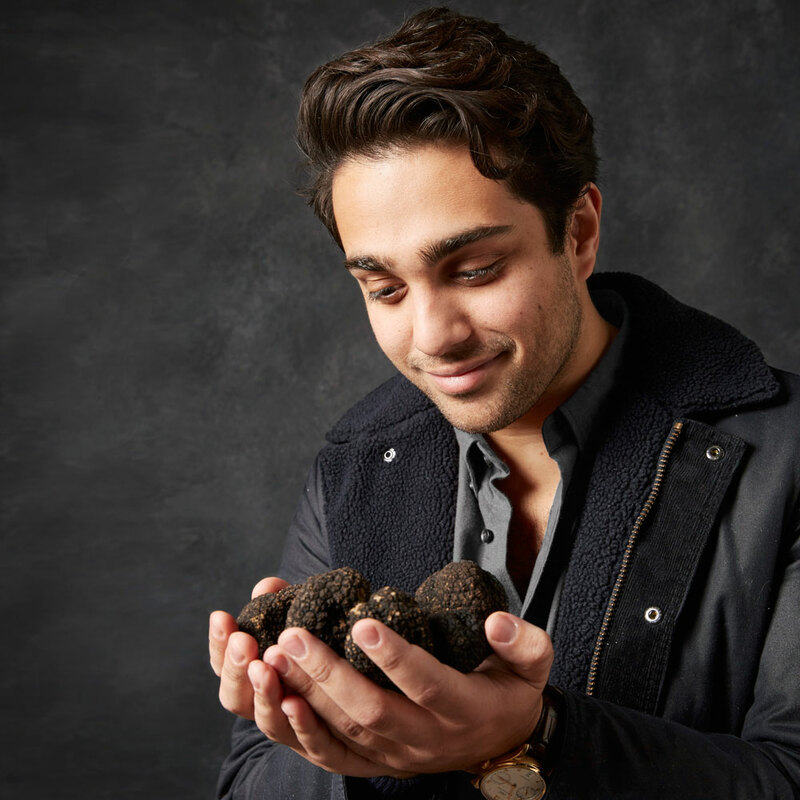 With spring in the air, we spoke with Purkayastha to learn more about the daily reality of someone who deals in truffles and caviar, rare and foraged ingredients. Regalis Foods's portfolio includes wild mushrooms, exotic fruits, spotted prawns, and king crab. “We’ve become known as a purveyor of things rare and unusual,” Purkayastha says, even if those things are only rare to a Western palette. Just this month, he was selling fresh bamboo to West Village sushi restaurant Shoji at 69 Leonard Street, "where it will be simmered in rice bran and chiles to remove 'aku,' a term the Japanese use to describe a unique scratchy mouthfeel that bamboo develops almost immediately after picking. When cooked through, the bamboo is tender with phenomenal flavor," he explains in an Instagram post. Fresh Bamboo from Kumamoto, JP. Destined to @69leonardst where it will be simmered in rice bran and chiles to remove “aku”, a term the Japanese use to describe a unique scratchy mouthfeel that bamboo develops almost immediately after picking. When cooked through, the bamboo is tender with phenomenal flavor. A huge part of Purkayastha’s job entails networking at restaurants to build and reinforce relationships. When Regalis Foods first launched, he would walk into the back door of restaurants, pretending to be a delivery driver so that he could steal a few moments alone with the chef to show off his products. He’d usually walk out with a new sale. Now, he goes through the front. And customers come to him, too. “It’s so humbling to be in a situation where restaurants call on us to send pricing to them because they’re interested in our products,” Purkayastha says. He'll spend no fewer than seven hours a day on the phone—he has downloaded an app to track his phone time, which tells him he’s averaging 7.5 hours every day—talking to customers, producers, and new sellers. By 8:30 a.m., he’s at the company’s Long Island City warehouse, inspecting orders and making sure deliveries—which leave twice daily on the company’s trucks—leave on time. During truffle season, from October to the beginning of January, Purkayastha might hand deliver up to 15 orders a day himself. He’s home by 6 p.m. each night. But just two hours later, he's back on the phone with several seafood producers from Japan. And by 10 p.m., he’s “making face time” out at his clients' restaurants. At any given time, he has about 15 employees at the Long Island City location—along with eight delivery trucks. At his second location in Dallas, Texas, three trucks and five employees are making deliveries. And by this summer, Regalis will open a third location in Chicago, with three new team members.